April 13-15 is the Songkran Festival in Thailand. 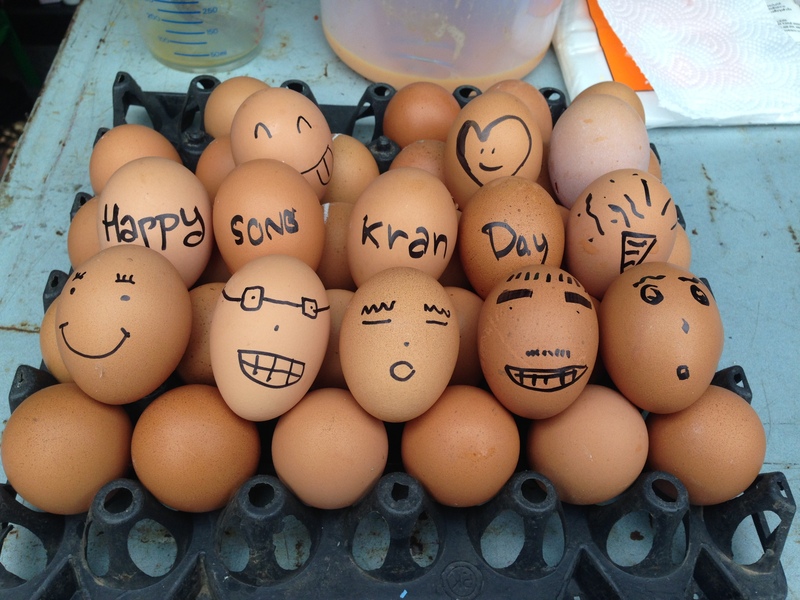 The biggest celebration is typically in Chiang Mai….and you know where we are?? 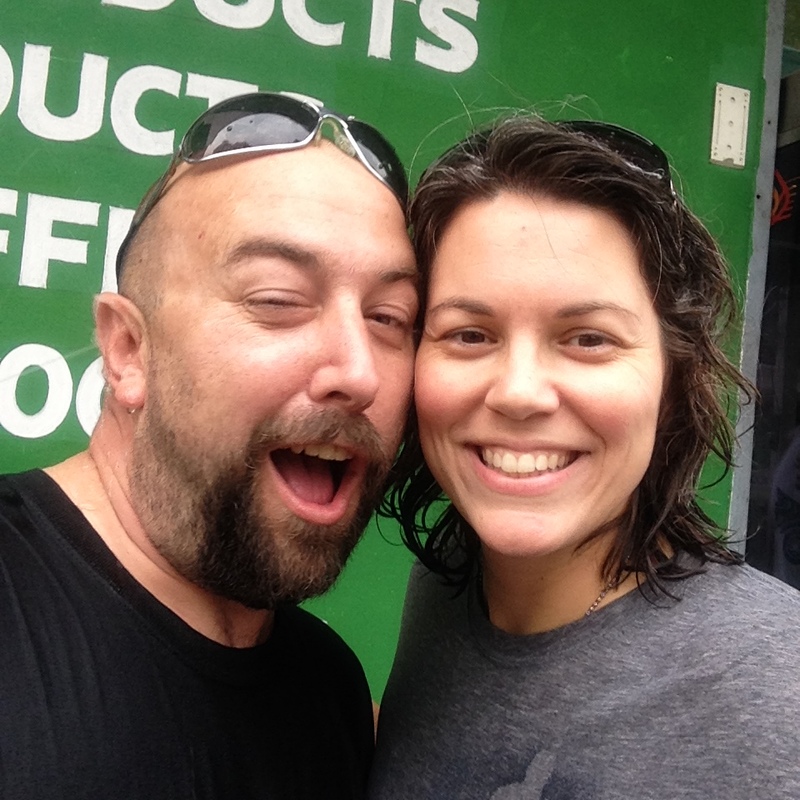 Yep…Chiang Mai. 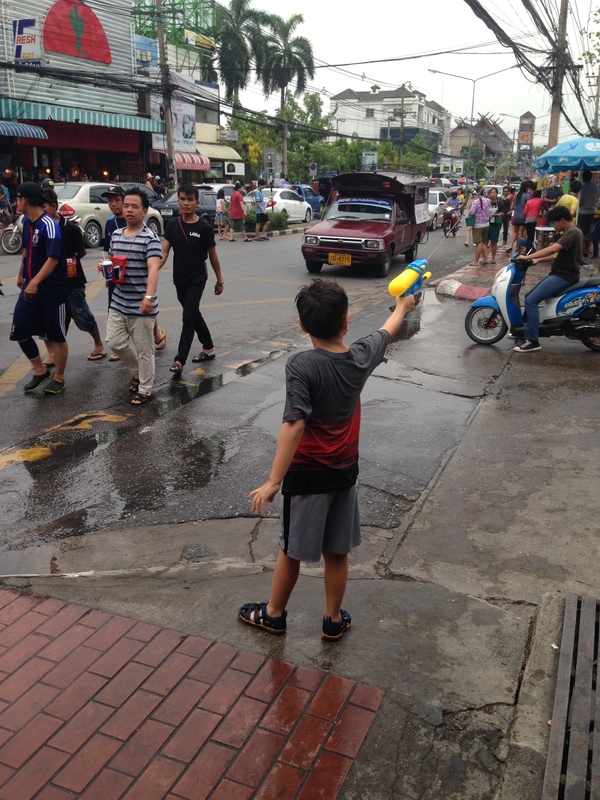 Songkran is the Thai New Year and is now considered a country wide water fight. Of course, it wasn’t always about water guns and ice cold buckets of “น้ำ” being tossed around. Songkran is traditionally a time to honor elders and monks. The festival is about cleansing and renewal. Upon cleansing the Buddha statues, the water was caught and then used to bestow blessings of good fortune on the country’s elders by pouring the ”blessed” water over the shoulders of the people. This eventually morphed into the water festival is it now primarily because April is the hottest month of the year as well as the ushering in of the rainy season. 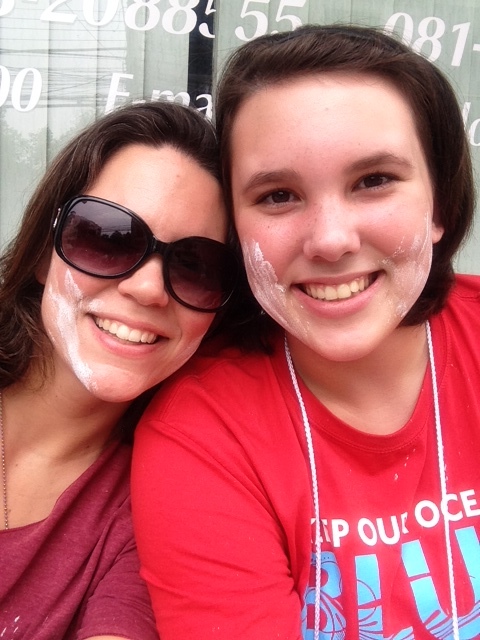 Another way the locals ”bless” people is by smearing wet talc powder upon their cheeks. 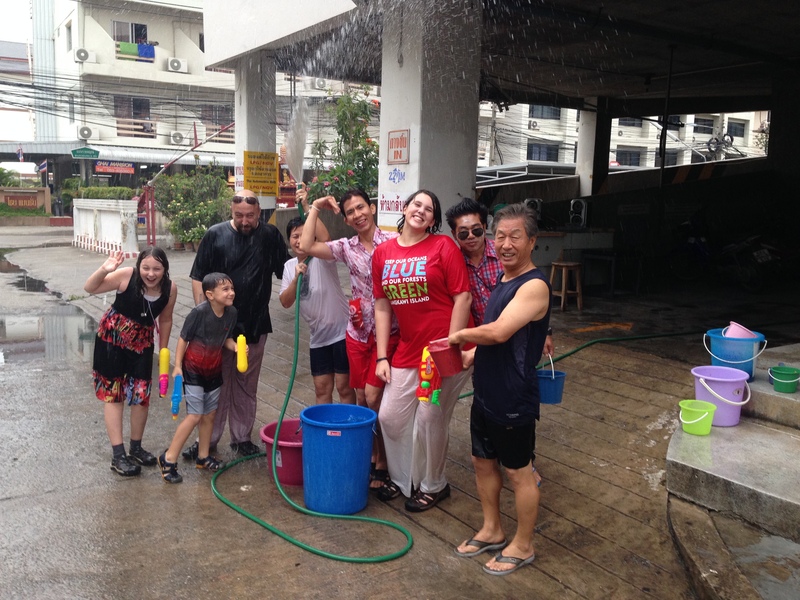 Grace and I were blessed in this way on the final day of Songkran! Do you see the water shooting into his ear? Really…who can resist a good water gun fight?